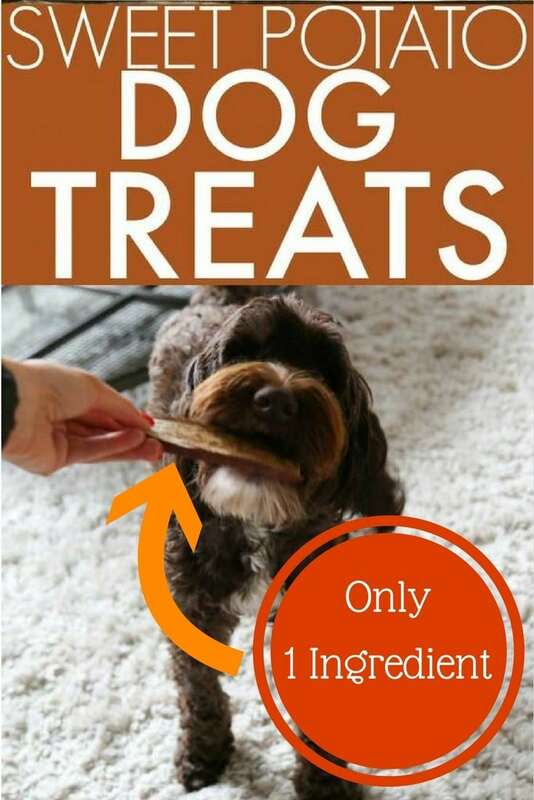 Want to know how to make the healthiest treats for your dog? 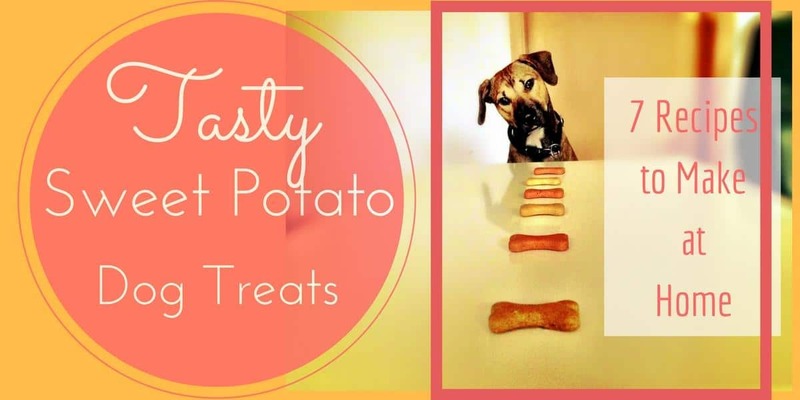 Want to see the best sweet potato treats for dogs? Here they are. You’ll feel so much happier giving your dog the best. Healthier treats are one of the best things you can do for your dog. When I first started buying dog treats I felt quite guilty. Once I looked at the packet and realised what was in them I felt bad. Should I really be giving these to my puppy? If they’re not healthy, could they be harmful? I really did feel guilty. I try my best to eat healthy myself. And I feed my family good meals with healthy ingredients but I was giving my puppy store bought treats with questionable ingredients. Thankfully, these days if you want to buy treats for your dog there are healthy ones available. But here’s another idea. Once you know how, make your own. 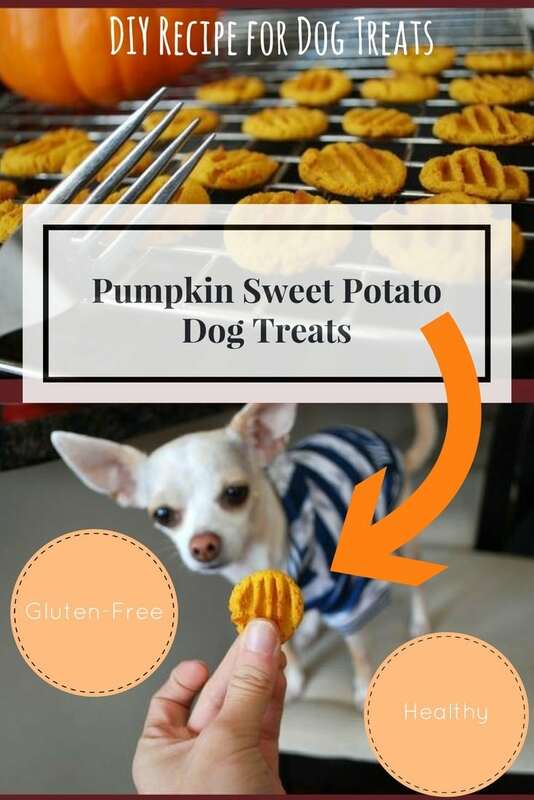 Sweet potato treats are some of the most popular dog treats. If you want to know how to make homemade sweet potato treats for dogs, here are seven recipes you’ll like. There are two basic approaches to homemade dog treats. The first approach is to bake them. The second is to dehydrate them. If you want chews that really are thick and chewy, you’ll need to keep the sweet potato thick enough that it doesn’t turn into a chip when it’s cooked. Follow the recipe here and you’ll be fine. So easy. And this one is only one ingredient. If you want to learn how to make sweet potato treats for dogs, this is the recipe to start with. So chewy and delicious, your dog will love you for making this recipe. These treats are not chewy. They are more like a crunchy cookie for dogs. But if you want to make them like a chewy cookie you can do it by cooking them for a shorter time. Personally I prefer to make chews (like the recipe above) as the chewy variety of treat and keep this recipe as a crunchy treat. This gives my pup variety. And the chicken flavor in these is totally irresistible for most dogs. There’s a little bit more preparation involved with this recipe, but it’s worth it when you see how much your dog loves them. 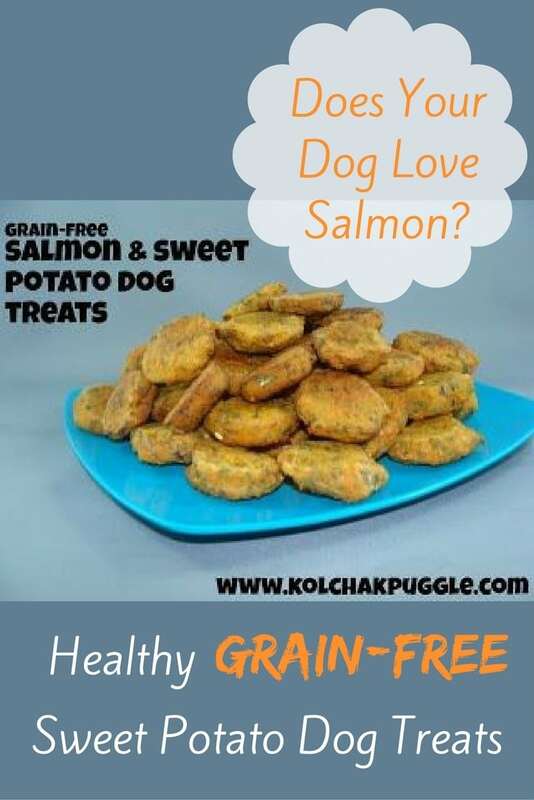 This recipe is a grain-free salmon and sweet potato treat for your dog. You make the ingredients into a patty and bake it until it’s golden brown and delicious. This is obviously not a chewy treat and it’s not a crispy cookie either. Some dogs love this type of baked treat. It really depends on your dog’s own personal preference. One thing for sure, if you know your dog likes salmon or tuna then you know your dog is sure to love these treats. They’re not hard to make. And as a result, you’ll enjoy seeing your dog eat them. See here for the recipe. This is a gluten free treat. Your dog will love the combined pumpkin and sweet potato taste. Even though there is pumpkin in this treat, there are no spices that may be bad for your dog. If you don’t want to take the time to flatten these sweet potato treats for dogs, you can also bake them as a ball shape. These treats are like a cute little cookie for your dogs. And they are healthy for your dog and also provide fiber. Here’s the recipe. Like many homemade dog treats, they won’t keep very well sitting on the counter. But if you want to make a large batch ahead and store them you can. They will easily store in the refrigerator or freezer. And if it’s close to Thanksgiving, your dog will love these as something special. 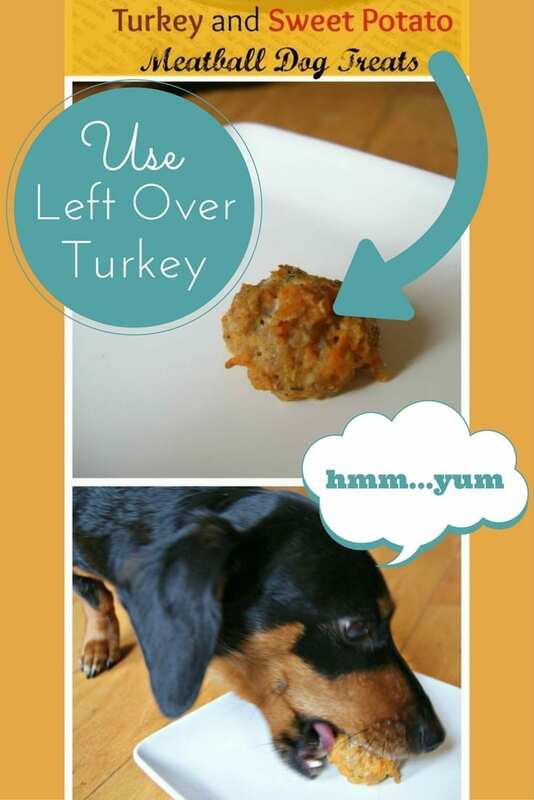 These are a tasty dog treat using Thanksgiving leftovers or for any time of the year. They are a delicious meatball type of treat that your dog will love. See the recipe. They are good enough to be treats but you may also want to use them to substitute some of your dog’s food. They’re wholesome and nutritious. After you make and bake these treats they can be stored in the refrigerator. They can be made as round meatballs, but if you find it easier to store the treats as a flatter shape you can make them flatter. I find this makes them easier to store in containers in the fridge. This recipe is very similar to Recipe 1 above. However, if you have a smaller dog they may struggle with the long slices of sweet potato used in the other recipe. This recipe cuts the sweet potato into coins so the pieces are smaller and easier for a smaller jaw to deal with. I still think it is worth including the recipe separate to the other one above because then you get the correct cooking times and some lovely photos to see the end-product. Here’s the recipe. These look a little bit delicious. I, myself, really like sweet potato chips so these are a bit tempting (if they were cut thinner!) I hope your dog enjoys them. If you own a dehydrator why not use it to regularly make dog treats. These sweet potato chewy treats are made in a dehydrator, but there is an oven option in the recipe too. See the recipe here. I love using my dehydrator. Once you slice up the food it just takes over and does it all for you. Sure, you need to leave it running for many hours. But the great thing is, you don’t need to attend to it. A dehydrator gives great results with very little effort. Rather than cooking, I regularly use my dehydrator to make dried fruit snacks for the family and dog treats for our pup. 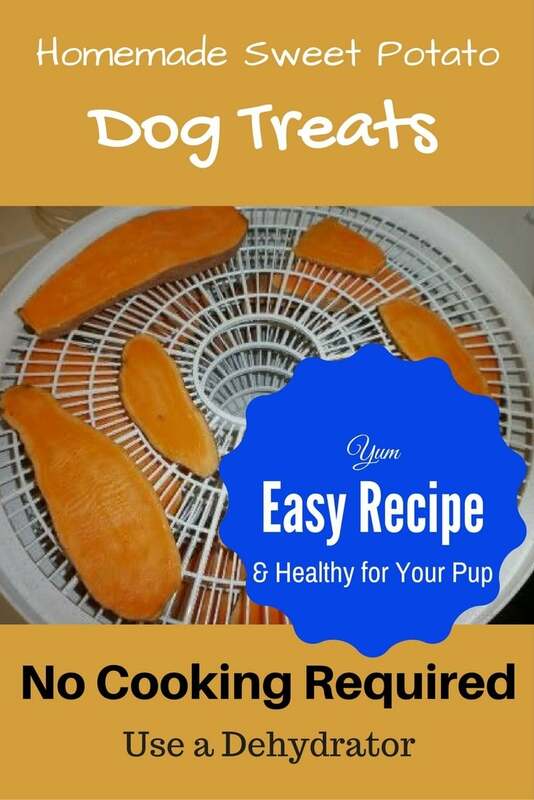 Learn to make sweet potato treats for dogs in your dehydrator and you’ll never want to buy them from the store again. 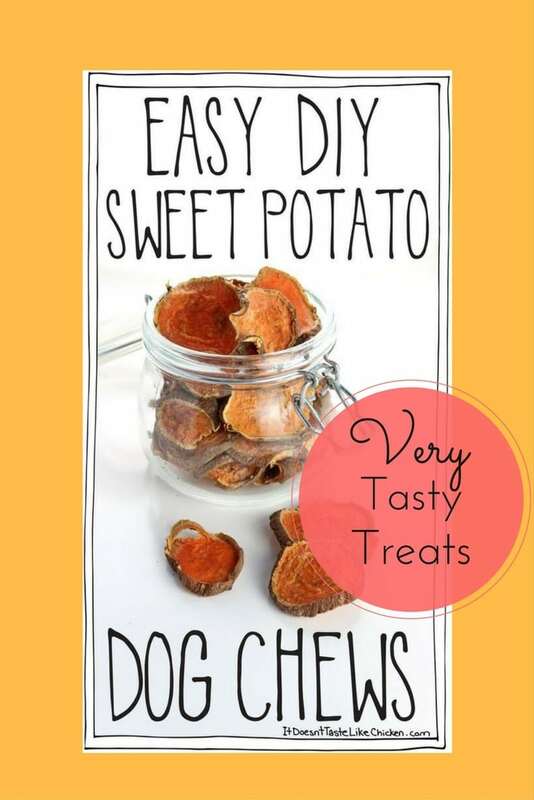 Sweet Potato Treats for Dogs – Will they become your pup’s favorite? If you’ve never made sweet potato treats at home before, you’ll be surprised how much your dog will love them. I haven’t met a dog yet who doesn’t want more. 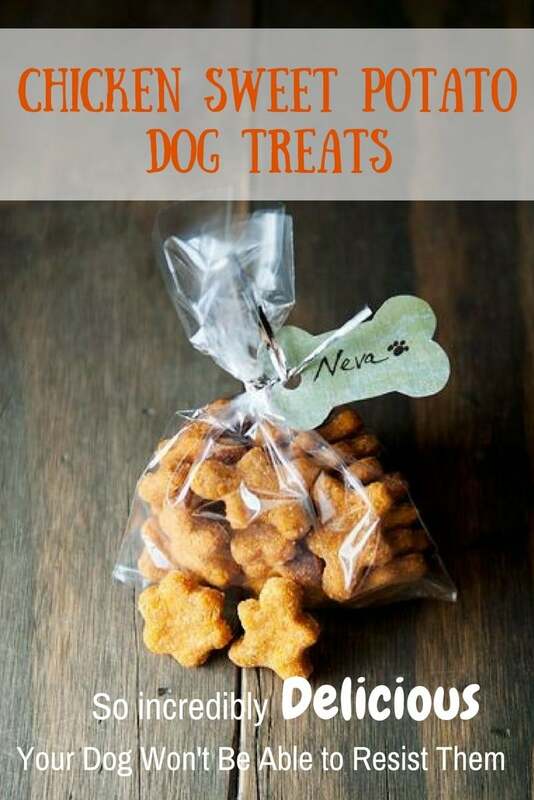 Homemade sweet potato treats for dogs make wonderful gifts. Wrap them in cellophane bags tied with a cute ribbon or find a gorgeous glass jar to put them in. You can always make a bone shaped card to go with your gift. Dogs and dog owners will love to receive homemade sweet potato treats for dogs. ☑ Need a Dog Camera Treat Dispenser? It will bring a smile to your face while you’re at work and your pup’s at home. This entry was posted in Dog Food on July 13, 2017 by Didi. Thanks so much for sharing our Sweet Potato & Salmon treats! I’m off to check out the SP & turkey meatballs!